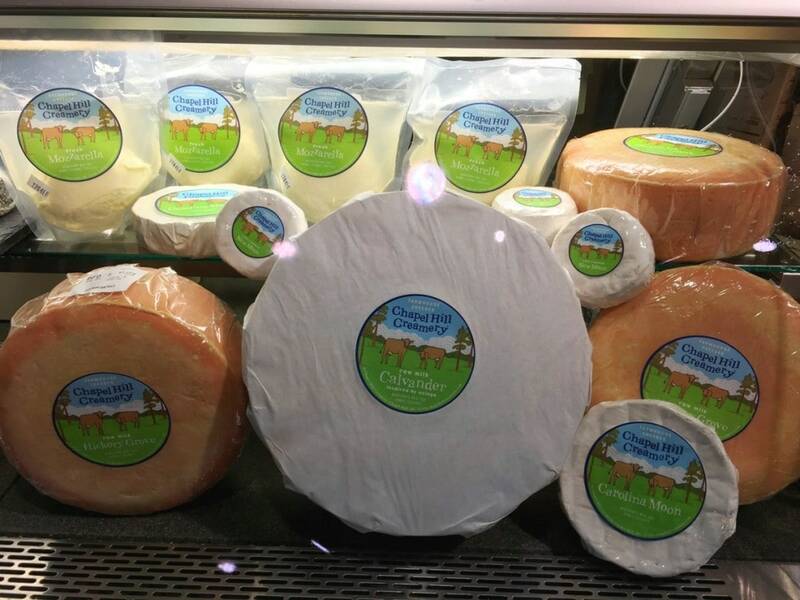 A playground for your taste buds. An emporium for foodies. A showcase of all that’s best to eat in the South. A visit to Southern Season fits all of these descriptions and more. Much more. 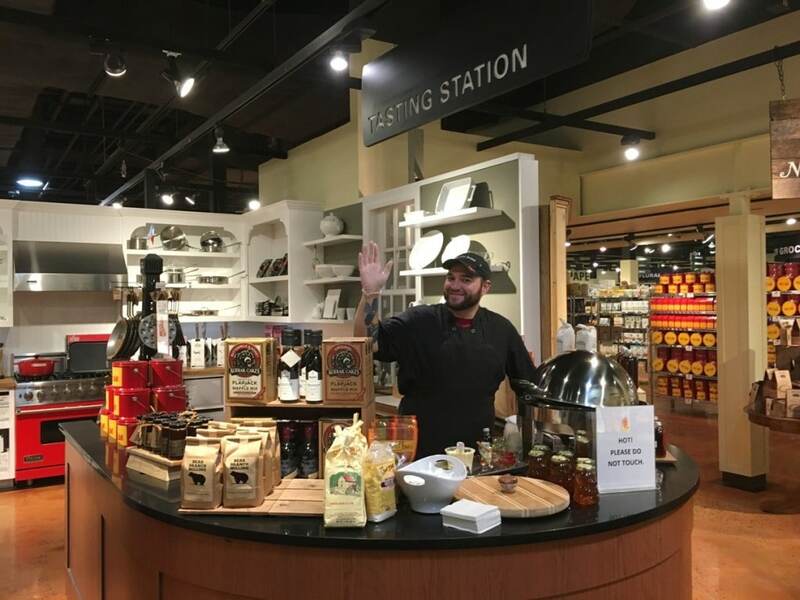 If you haven’t ever been to a Southern Season store or cooking school, you truly do NOT know what you are missing. I say that from my own naïve experience. 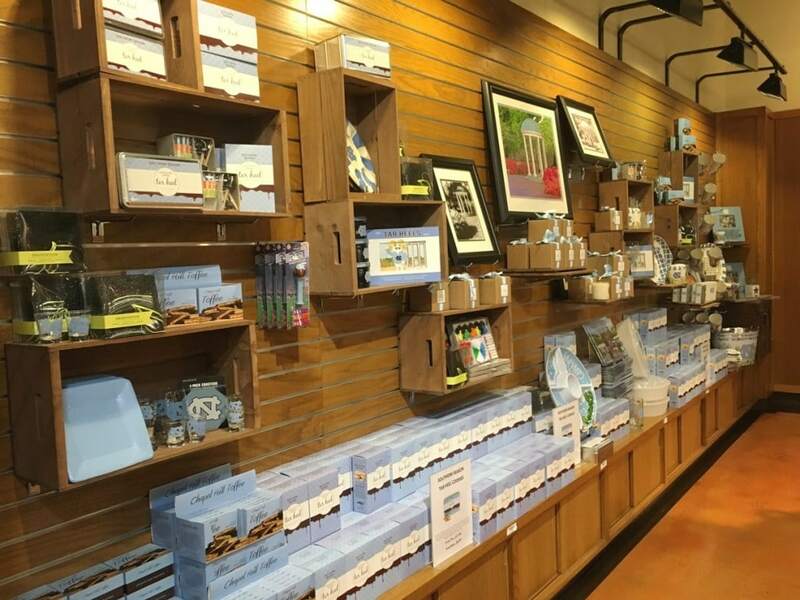 During a weekend visit to Chapel Hill, our itinerary included a stop in the Southern Season store and adjoining Weathervane restaurant at University Place. I wasn’t that excited, to be honest. After all, it was a big store offering tastings and specialty foods. I’ve been there and done that at locations across the country many times. What was very apparent just two minutes into my shopping experience was that Southern Season was a complete destination. Like an all day, ‘I’ve died and gone to foodie heaven’ experience. I instantly wished we had more than an hour to spend at Southern Season. In fact, it might be one of the major reasons why I go back to Chapel Hill for a visit. Okay, so why all the fuss?? 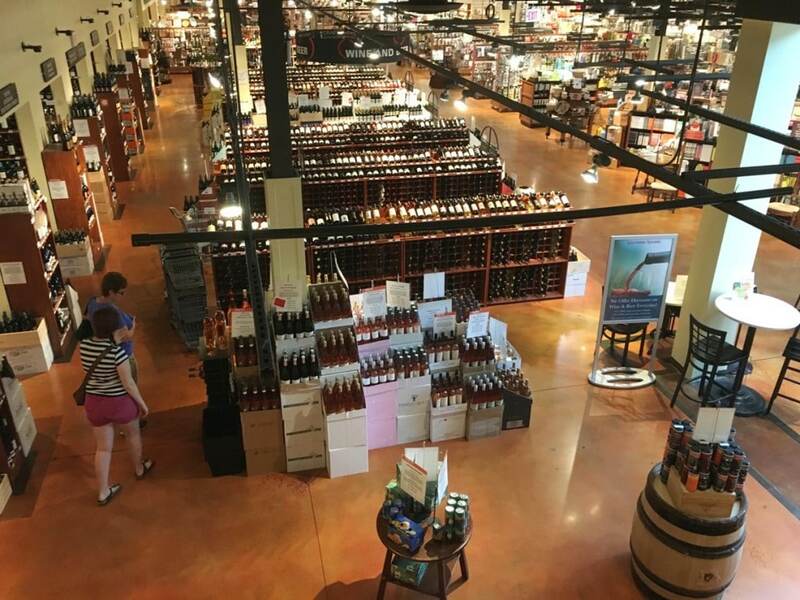 Here’s why – Chapel Hill’s Southern Season is a 60,000 square foot gourmet specialty store. Founded in 1975, it’s one of the largest in all of America. Seriously. The company has been selected the best cooking school by Vanity Fair. 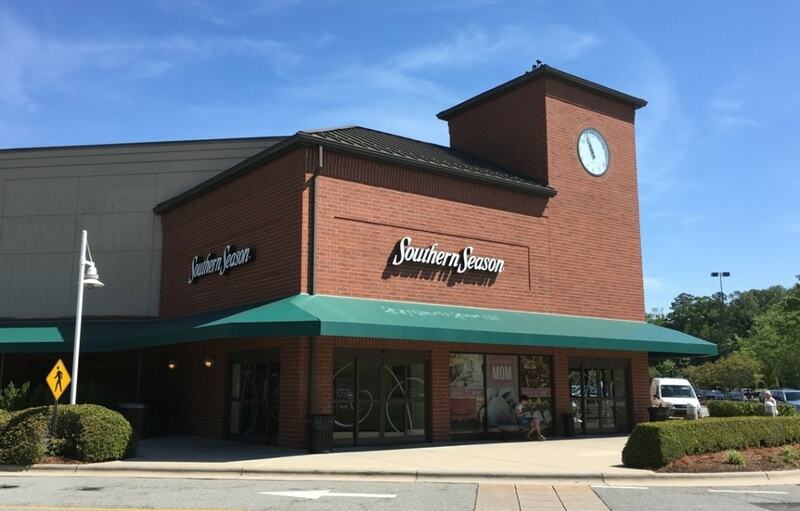 Southern Season was recognized as the Outstanding Retailer of the Year by the National Association of Specialty Food and was selected as one of the Top 25 Best Independent Stores in America. 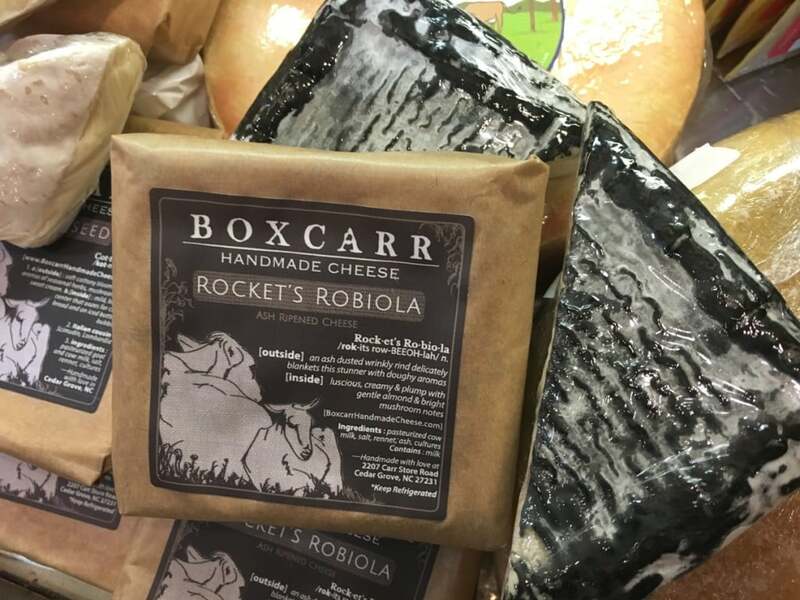 It specializes in the best of the best – and a lot of that is local foods. You know, the types of food products that make your mouth water and you wonder why you’ve never tasted anything so good before. Then you learn that’s it’s a small family owned business that could never produce enough product, or pay enough in marketing dollars, to get their product into the mass retailers that you most likely visit. Yeah, it’s that kind of happy foodie indulgences that you’ll discover in Southern Seasons. In showcasing the best of the best, though, the inventory is literally from around the world. If you’re looking for unique or exotic, chances are you can find that here, too. You’re first stop? Consider the tea and coffee shop right when you enter. It’s like going to a neighborhood barista, before you start shopping. 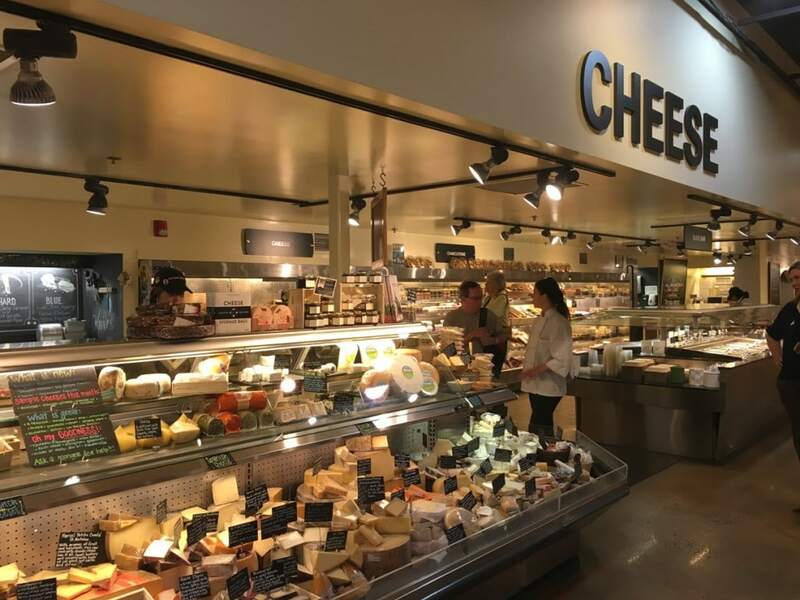 Inside, you’ll find stations dedicated to specific types of food, including cheese, candy, a bakery, meats, cold prepared foods, wine, beer and more. These aren’t just aisles. No, they’re full blown experiential areas. And they offer tastings. Picture this. 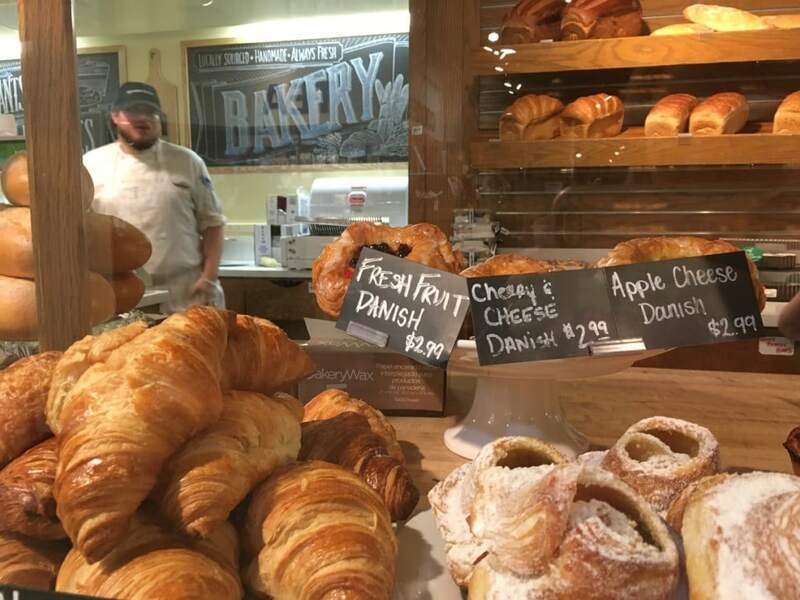 You venture towards the Bakery. The smell alone will pull you in, trust me. There are samples to try of baked goods. But then there are rows of prepared pastries artfully arranged tempting your taste buds. Pam Runyans is there. 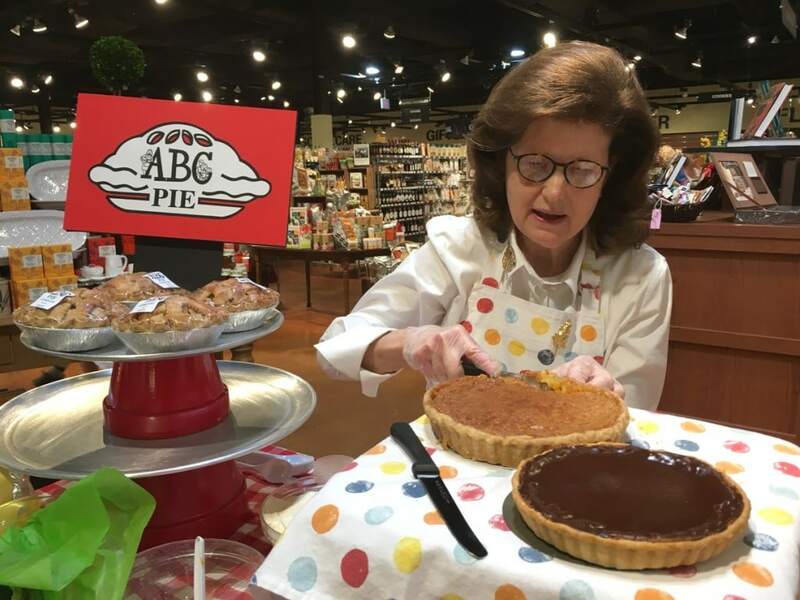 She’s one of the most popular people at Southern Season when she comes in and gives samples of her ABC Pie Company. In fact, she always sells out. A nice way for this mother of three children in the military (the company is named after them) to support her family. 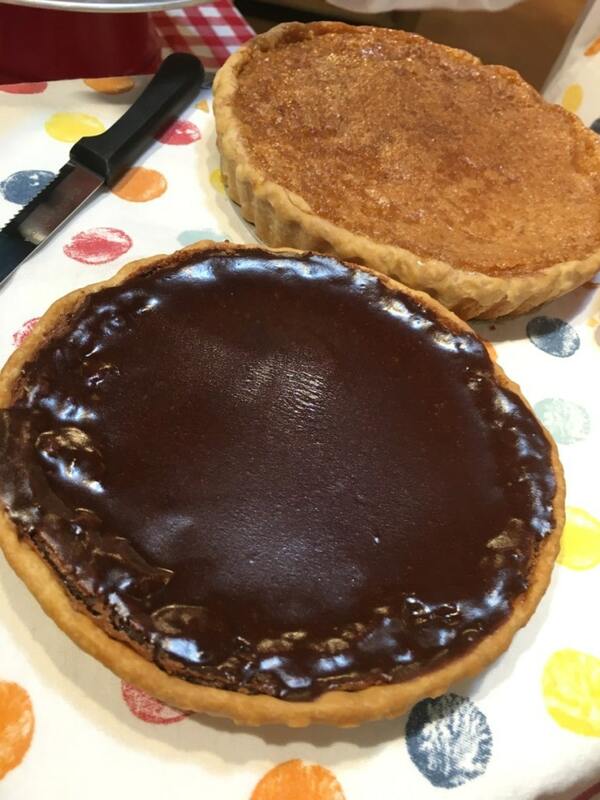 Her drool worthy pies are all made from scratch, with a 100% hand rolled crust. She probably would never have been found or discovered if it wasn’t for Southern Season. And there are a thousand stories just like that behind every product that you’ll see and can buy. 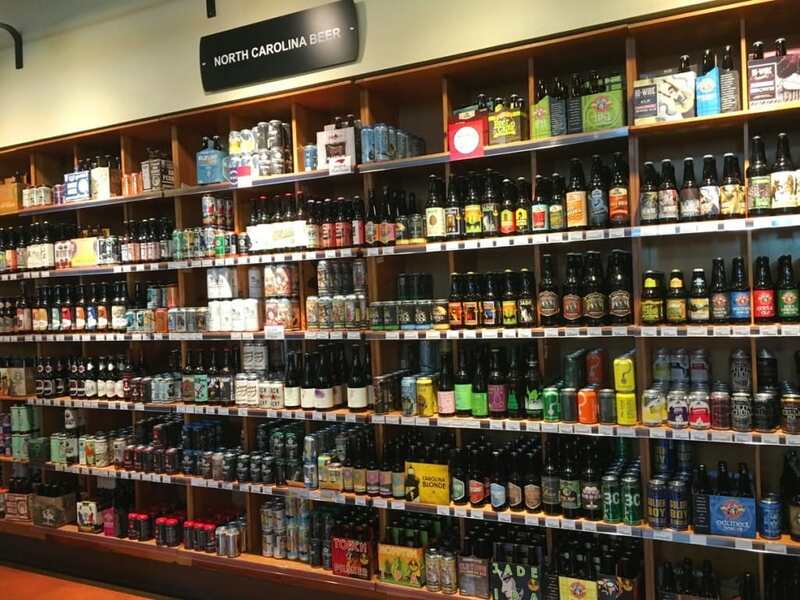 The North Carolina beer section is one of the standouts. I mean, it’s a whole wall of beer! Next to a massive selection of wines. And the candy section. Oh, wow. You’ll be in sugar overload just walking by. 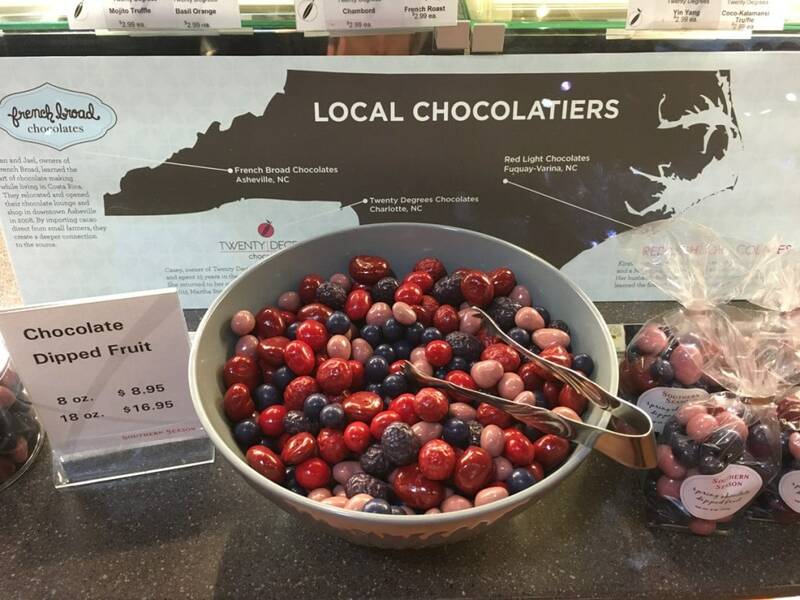 I love the fact that they promote local chocolatiers throughout North Carolina. 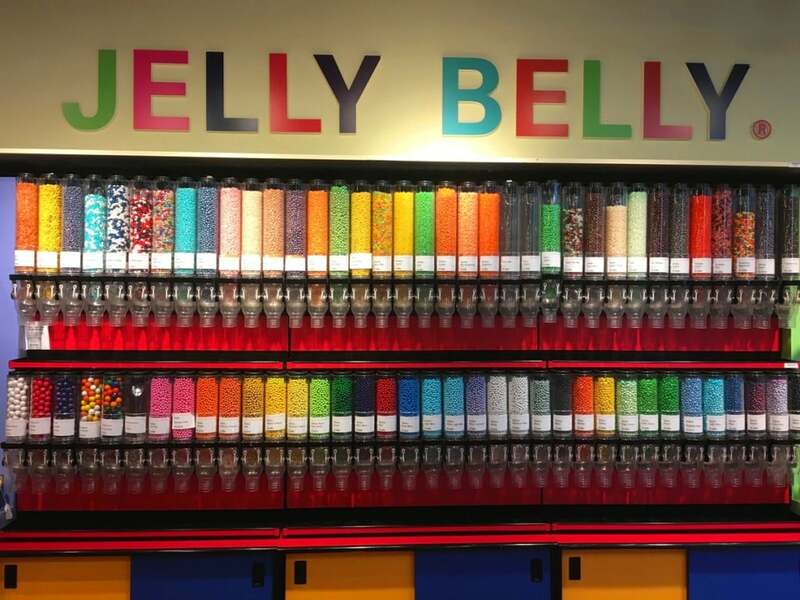 And that wall of Jelly Belly candies is amazing. 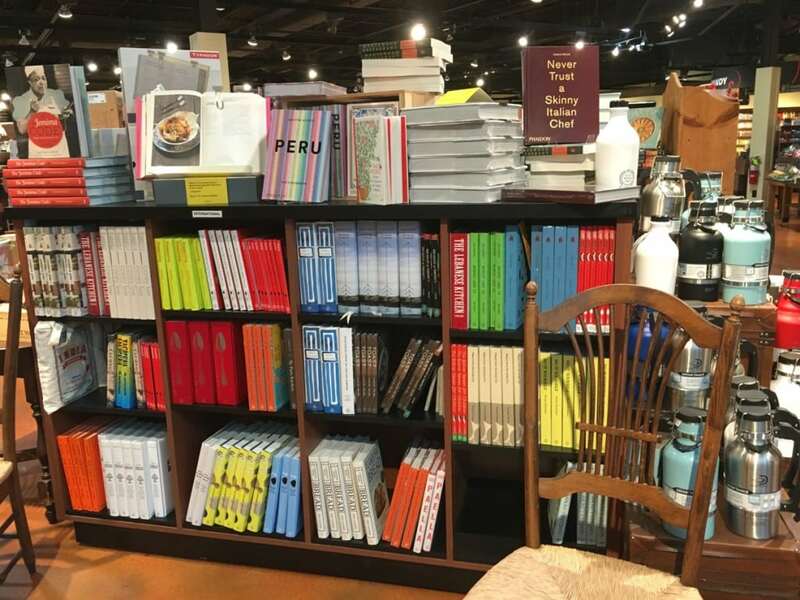 Southern Season is like a foodie department store. 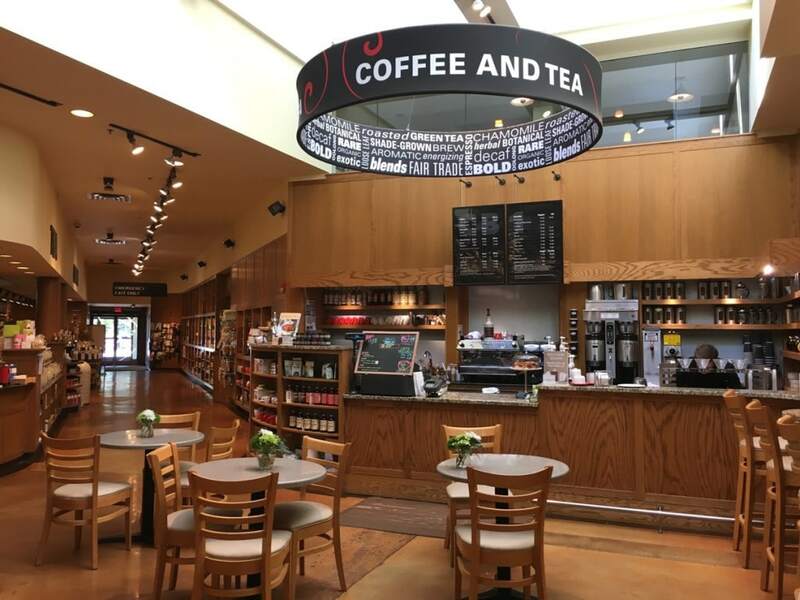 There are plenty of places to get foods and shop for groceries, but also some wonderful shopping opportunities for lifestyle and food-related products. 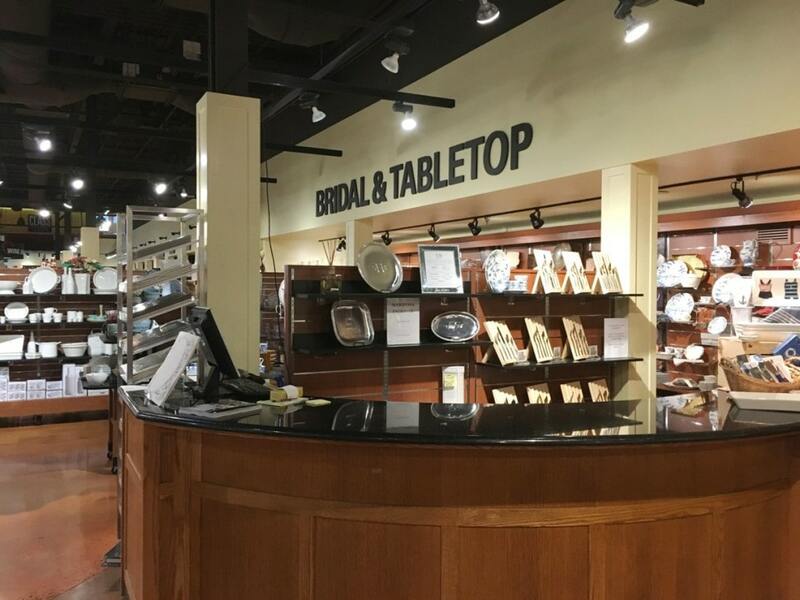 A book section offers cookbooks, while the retail space – which includes a bridal registry – offers a one-stop shop for your favorite foodie. 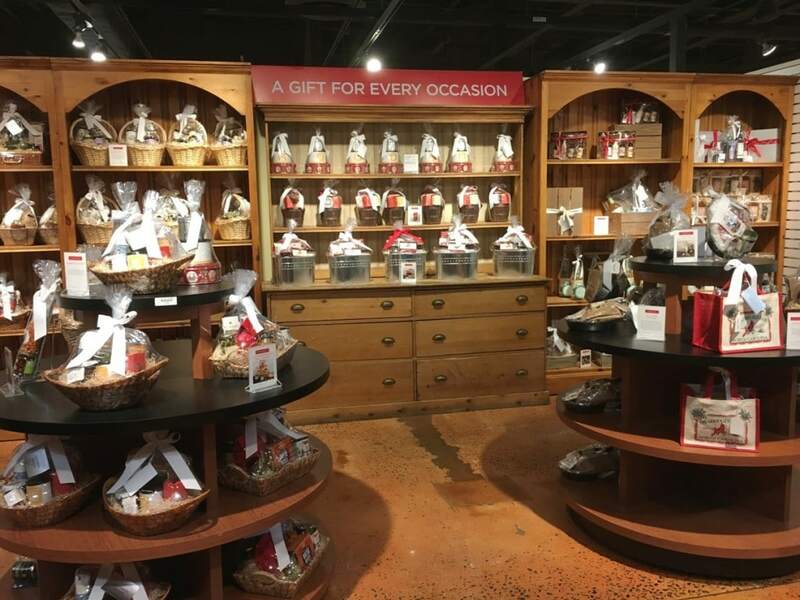 Gift baskets are among the best sellers at Southern Season, especially around the holidays and Christmas when their sales soar. Be sure to order yours in advance or get in early to pick up a unique foodie gift basket. 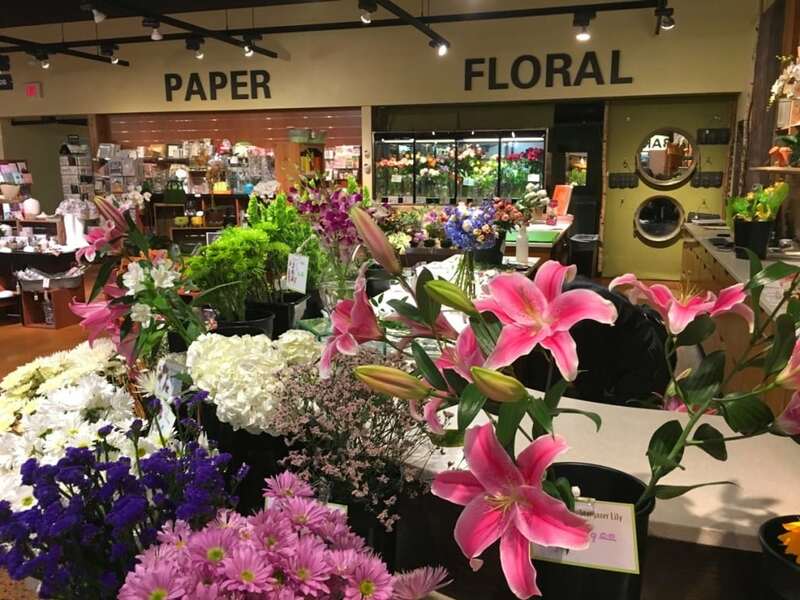 On the way to the registers, how could you resist picking up a bouquet of flowers for the table? There is a full service floral department inside! The Cooking School at Southern Season is legendary. So much so that the classes sell out almost immediately as they are posted. There were so many awesome choices that I saw in Southern Season’s class schedule, all of which I’d be happy to sign up for. 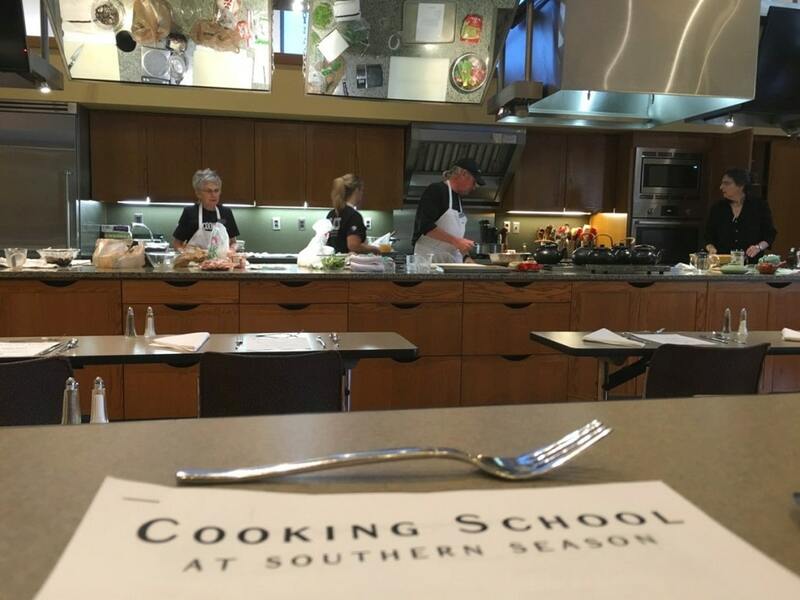 There’s an entire book for each season of classes at Southern Season. There’s that much to choose from. There are several Southern Season stores in the southeast. 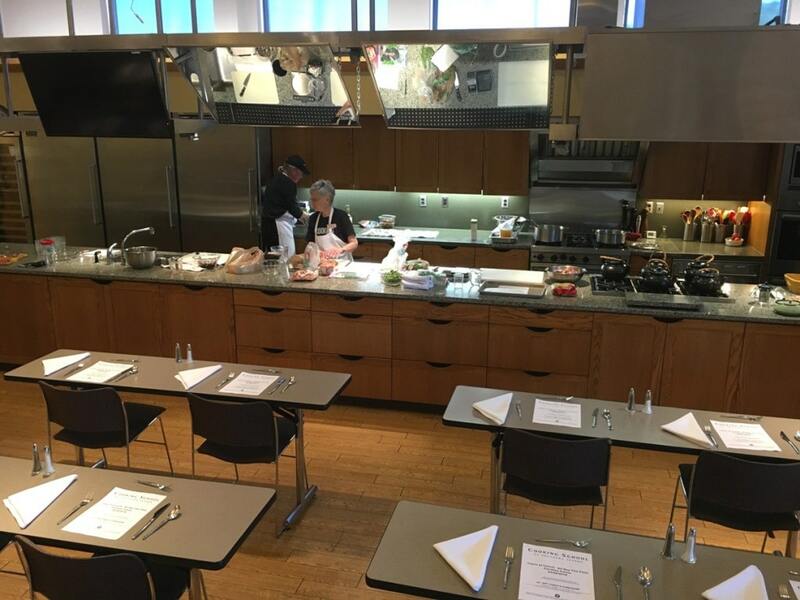 Only two have Cooking Schools – the Chapel Hill location and Mount Pleasant, SC. 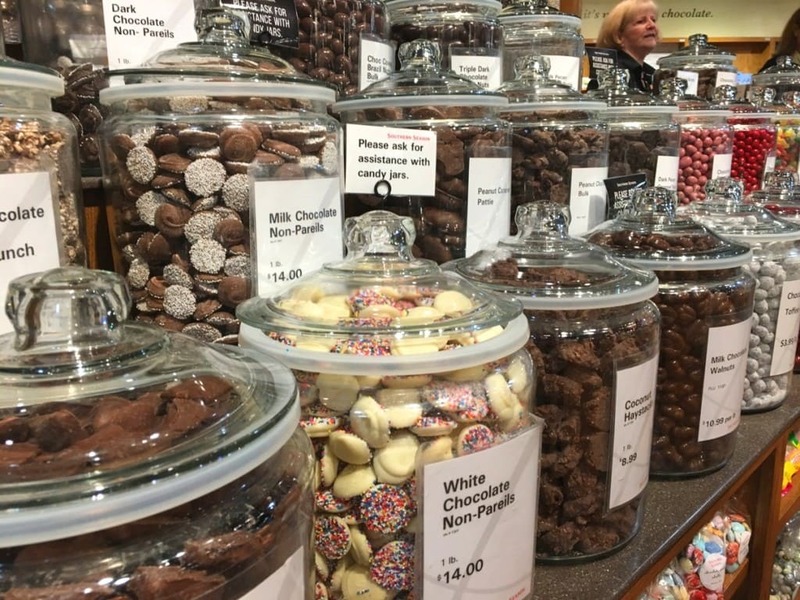 Additional stores, known as Taste of Southern Season, are opening in more locations. 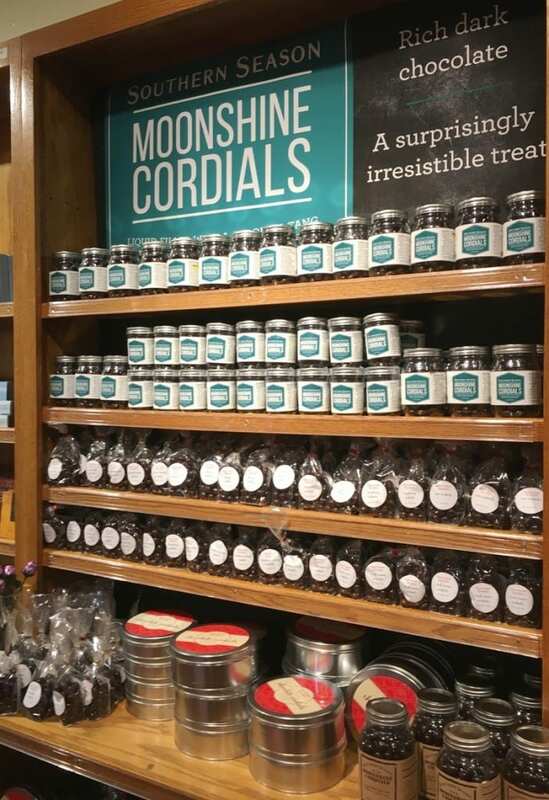 They are not as big, but they offer a condensed version of what you’ll find in the Southern Season stores. They still remain true to their region, and highlight some of the best of what you’ll find in the area. We’re thrilled to find out that Taste of Southern Season will be opening in Asheville, North Carolina in the Biltmore Square area in July 2016. We will be so close to this foodie destination and can’t wait to stop in! 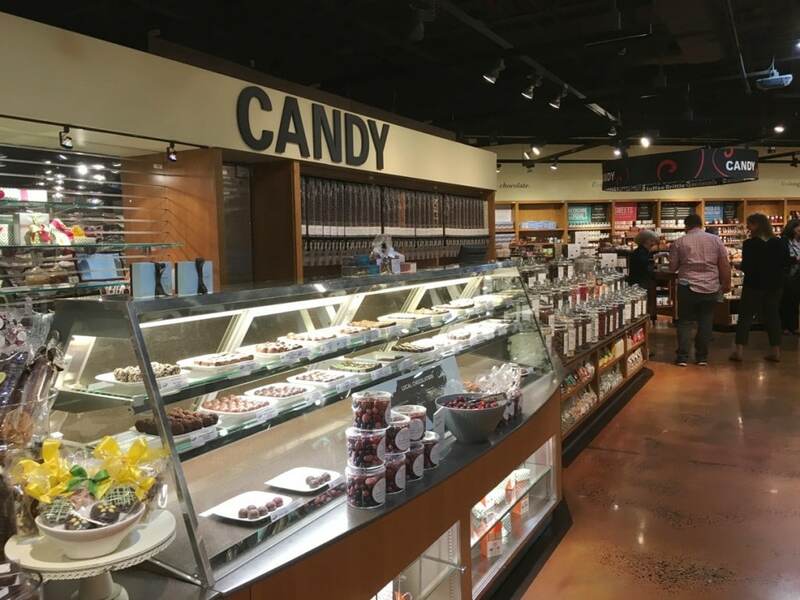 Taste stores will vary from around 2,000 to 7,000 square feet, depending on location. 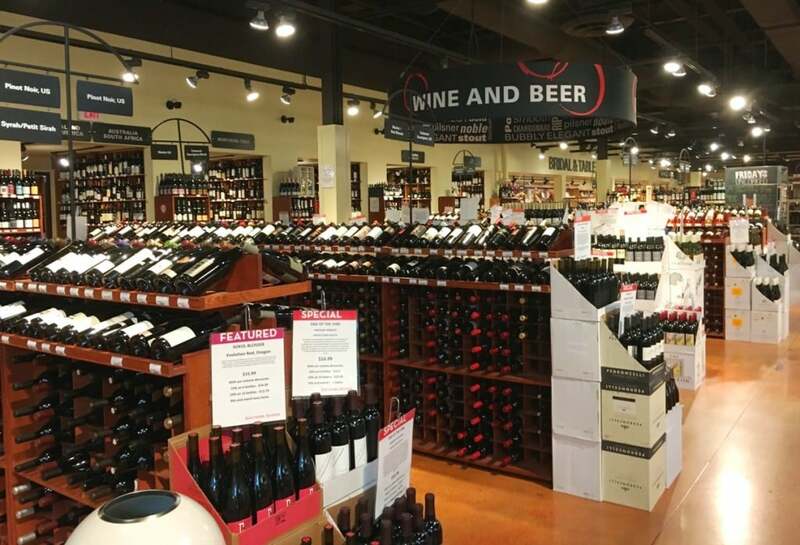 Additional Taste stores are set to open before Christmas 2016 in Wilmington and Southern Pines, North Carolina; Charlottesville, Virginia; Savannah, Georgia; and Birmingham, Alabama. There are already Taste stores open in Charleston, SC and Raleigh, NC. Southern Season’s full-service Buckhead store will open in September in Atlanta. The 25,000 square foot store will also feature a cooking school. In North Carolina, the Raleigh store will expand to a full-service model in 2017, with another large store to follow in Charlotte in 2018.